Though he never explained them, the great Russian author’s words have a truthful ring. It wasn’t easy for me to tell one happy family from another until I met Ed Richardson. A Columbia resident and member of an elite fraternity known as the Academy of Motion Picture Arts and Sciences, Ed voted by secret ballot on the Oscar nominees every year. He died in 2008, but tonight's Oscars reminded me it was time to retell the story of how Edward Richardson became a beloved member of a different kind of happy family far from his filmmaking life. Every afternoon for nearly 14 years, Ed comfortably inhabited the third period of his artist's life. Returned to Columbia after a storied career as a Hollywood set designer and artistic director, he became a loose nucleus for a family of friends who gathered in the late afternoon on the right hand side of the long, sleek, stone bar at Flat Branch Pub & Brewing. With the waning sun peaking through the windows, Mike Bowling, a math professor from Stephens College, would join Ed in reading the New York Times and the Columbia Daily Tribune. Karl Kruse and Jake Halliday would file in. Mike Dunn would quietly appear. On Fridays, Paul Cary, a toxicologist from MU, and his good friend Mary Condy would fill a big glass on the bar with a bag of peanut M&M’s. From Jarret Crader or Rob Stine or Mike and Kathy Weston behind the bar, Ed ordered the same draft—the IPA or India Pale Ale that now bears his name. He worked on small projects. He did crossword puzzles. He spoke about politics and society with the tolerant wisdom of a man who had traveled and lived. As a voting member of The Academy, Ed shared his passion for filmmaking with his Flat Branch family, lending movies on DVD—both popular and art-house—that arrived every year courting his vote for the Oscars. "Ed was the closes t thing many of us will ever get to fame and celebrity," Cary told the standing-room-only crowd that gathered in March 2008 at the downtown brewery to celebrate Richardson's life and his January 2008 passing. "He brought a small part of a big world here to Columbia." Richardson’s film bio reads like a Hollywood Who’s Who. He worked with Michelle Pfeiffer; Oliver Stone; Orson Welles; Joan Crawford; Paul Newman; Katharine Hepburn; Al Pacino and Warren Beatty. About directors Francis Ford Coppola and George Lucas, with whom he designed the Michael Jackson-inspired Captain Eo ride at Disneyland, Ed told me, "George was impossible—disorganized, demanding, disgruntled. But Francis was wonderful. He had a marvelous way with all those big egos." 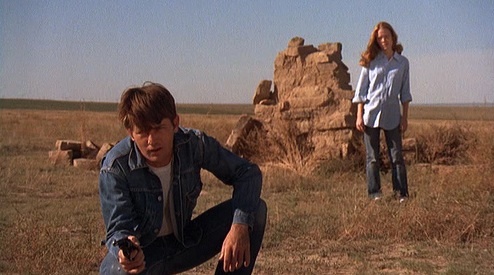 Ed started his career with Sissy Spacek and Martin Sheen just as they were starting theirs: on the set o f a murder-and-mayhem classic called Badlands. 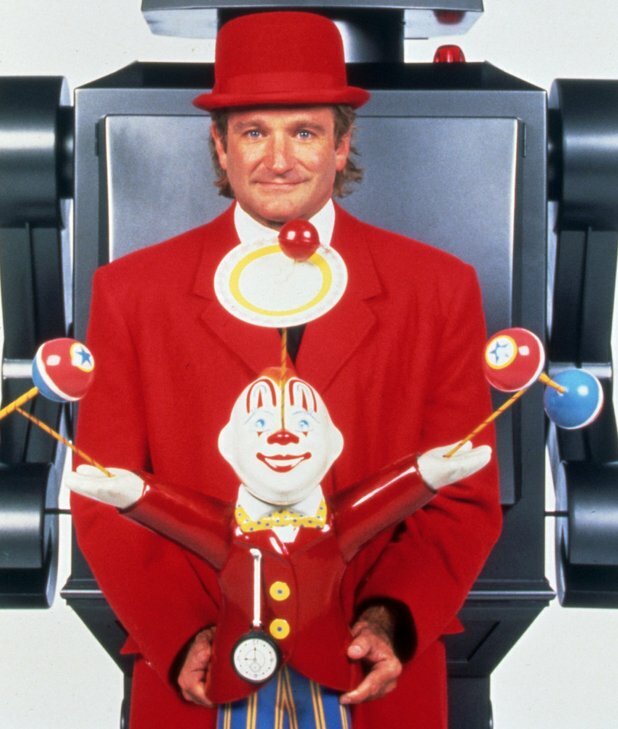 Moving from crime to comedy, Richardson became Mel Brooks' assistant art director on the film High Anxiety, graduating to full art director on Scarface, American Gigolo, Cat People, and toward the end of his 25-year career, the film for which he received an Academy Award nomination, Robin Williams’ comedy Toys. "It was a great life," Ed told me. He was a man of few words. Paul Cary saw Ed's life in artistic stages: the Hollywood period; the Columbia period; and the earlier, Piedmont period. Nestled near the Missouri Bootheel, Piedmont was to Ed Richardson what Hannibal was to Mark Twain: an inspirational hometown left behind. The middle child of five, Richardson grew up in his parents' hotel. By 9, he was filling it with artwork. After leaving home, he studied at the University of Missouri, and New York’s famous Pratt Institute. He joined the Army, then went to Los Angeles to follow what his brother Rayman called his "true passion." "There were several films, I’m sure, during production where he'd go 24 hours without any sleep," Rayman told the Tribune for a retrospective on Ed’s life. Ed came to Columbia in 1994 to be near his aging parents. There was something ominous in Ed's voice when he began complaining about the bitter cold of the winter of 2006. He was getting short of breath climbing stairs. At the time, he was drawing a book cover for me, as he had for William Least-Heat Moon's 'River Horse'. For Least-Heat Moon, another member of Ed's Columbia family, he painted a solitary boat on a lonely journey along a wide and meandering river. For my book, Ed captured the decimation of Poland during the Second World War, in a fire and charcoal abstraction of broken lines and burning embers. Ed seemed to be getting worse and finally saw a doctor. His diagnosis came to me as a whisper. "Where’s Ed?" I asked. "I haven’t seen him for a while." Lung cancer. Chemotherapy. Exhausted. His Flat Branch family was crushed. Paul, Mary and Karl took food to Ed's apartment that he barely touched. They begged him to eat. They begged him to stop smoking. And when he'd hit the hard stuff at home, they begged him to stop that, too. At times, I heard despair and even hurt. To his family, Ed was abetting a terrible enemy. On picking up my book's cover art from his apartment one afternoon, Ed left me a note I still have, written in a shaky hand, all CAPS. After I read it, I understood. It was clear and terse, like Hemingway writing at the end of his life. "Michael, this is all my sketches," the note read. "I’m sure you’ll know the color that you respond to. Sorry I’ve dried up, but I have so little energy. -- Ed." In time, Ed’s already slight frame grew gaunt and emaciated. Still, when he was feeling well enough, he rarely missed a day with the family. When I didn’t see him at Flat Branch, I always asked how he was. "He’s been feeling good," or "We’ve been pretty worried," or "He just got back from the hospital," family members Maurice Manring and Michelle McFadden would explain, walking their dogs by my house. When I last saw Ed, he was feeling better. He had gained a little weight. It was late fall, a time of the Missouri year he longed for during his Hollywood period. As Fall chilled into Winter, I wondered how Ed would fare. I got my answer from Lance Wood, who manages Flat Branch. He was in the hospital. But he was cheerful and talkative, and that was good to hear. I’m guessing that, reflecting on his life, Ed realized the same thing his family helped teach me: Happy families are all alike, in one important way: They share love. The artist, it seems, was right once again.